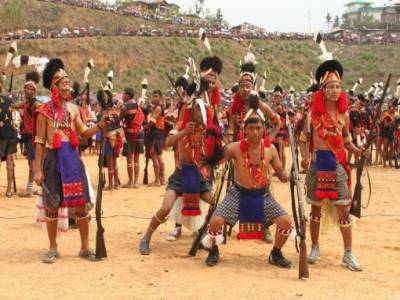 The Aoling festival is a festival for the Konyak Naga sect of the Naga people of Nagaland. 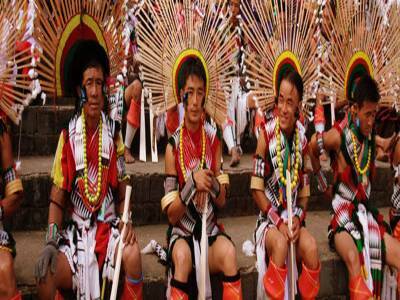 The Konyak tribe is the largest Naga tribe of Nagaland and their head hunting tradition is widely popular and known. 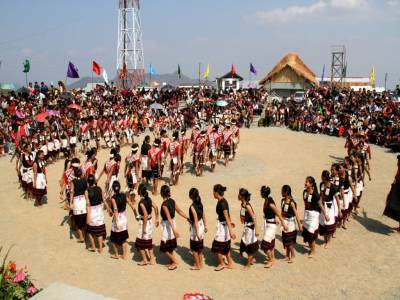 The Aoling festival is the base and major festival of the Konyak Naga tribe celebrated in the Mon district of the tribal state of Nagaland, India. Being on the border of Myanmar, the neighbouring country also witnesses the pomp and gay of the Aoling festival. 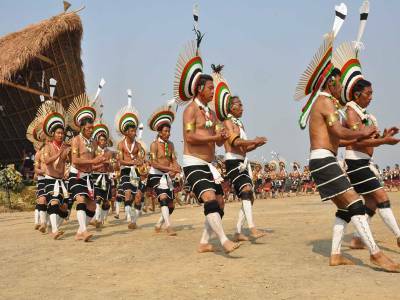 The main attraction of Nagaland is however, the Hornbill Festival that is held every year in Heritage Kisama Village about 12 KM away from the state capital Kohima between 1 to 7 December. 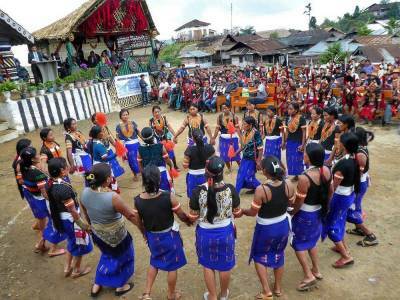 The Aoling festival is very different for the Hornbill festival because it is for the Konyak Naga tribe only and is celebrated each and every year during the month of April. The festival is the way of the Konyak Naga people to offer prayer to their god and celebrate the arrival of a good harvest during the spring, as the predominant lively hood of the people is farming. What is more coincidental is that the Aoling harvest festival is also the mark up for the arrival of New Year calendar for the Konyak people. The locals celebrate the weeklong festival singing, dancing, sacrificing and feasting to appease the god of harvest for better harvest all round the year. The festival is divided into three segments - 1st 3 days for weaving, feasting and sacrificing; 4th day for singing, dancing and head hunting; last 2 days for cleansing the house and the community for reestablishment of daily life. Visiting the Mon district during Aoling Festival is a lifetime tourism experience. Get quick answers from travelers who visit to Aoling Festival.